Tree limbing and felling can be stressful as it is sometimes dangerous work, and the preservation of the tree is an important piece of the puzzle. 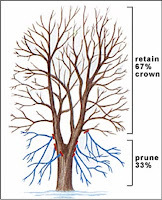 We have invited our favorite arborist, Tom Hoerth, to share with you his 25+ years in the field of tree care. Shelter Institute is offering a two-series workshop. The first is about limbing, and the second is how to safely fell a tree. Tom will explore best practices, discuss tool selection, and offer demonstrations. There will be ample opportunity for questions and answers. 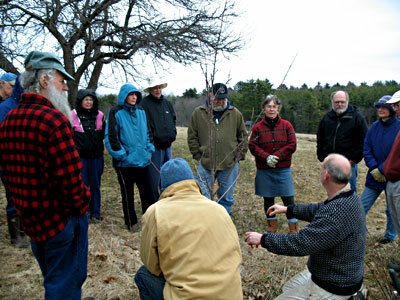 Join us on our 70-acre wooded campus to learn how you can maintain your own trees on your own land. 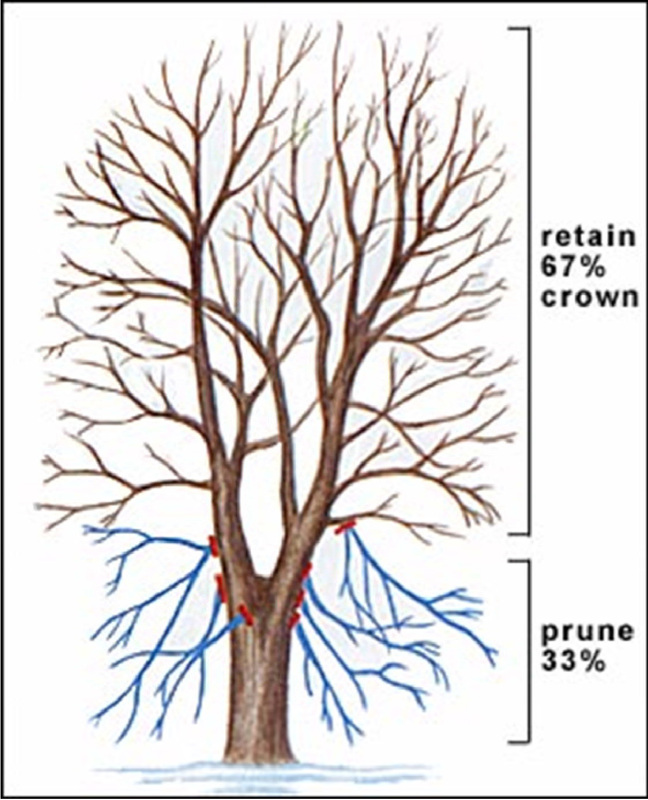 These classes are accredited through the Maine Arborist Association and serve as CEU’s for professionals maintaining their license. Register for the classes online, or contact us for more information. Time: 9:00 am to 4:00 pm. Now through July 28th, save $100 on Sun-Mar's quality composting toilets and $25 on their garden composters. 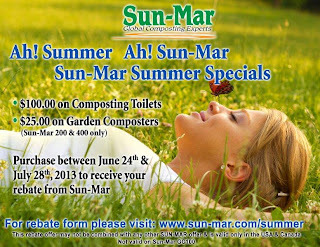 Visit our store to see the Sun-Mar Composting toilets and garden composters on display. Our knowledgeable staff has first-hand experience with the Sun-Mar composting toilet line and can assist you with sizing, installation, and maintenance questions. And it's a perfect time of year to start that garden composting project you've been planning for years. 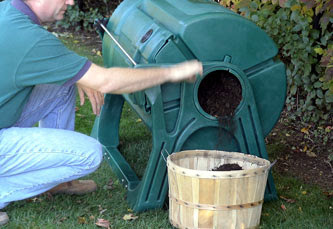 With the Sun-Mar composters, it's easy. 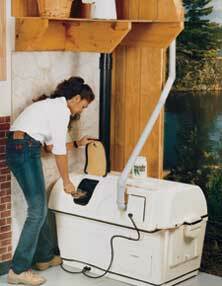 We have been carrying Sun-Mar composting toilets for over 20 years. We can help you identify whether a composting toilet is the right solution for you. Email or contact us to request a free brochure and learn more about composting toilets. For more information, download the rebate form here. If you use a composting toilet or garden compost, share your thoughts in the comments below. Visit Bath. Visit Shelter (this weekend). Shelter will be closed Thursday, July 4th. (especially if you're building or watching fireworks). The Maine Office of Tourism featured Shelter Institute in an ad in the recent New York Times Magazine summer travel issue. It was an great pleasure to be mentioned among great summer destinations like L.L. Bean's Outdoor Discovery School, Bay Sailing School, Summer Keys, and other fine Maine institutions. ''America is based on pilgrims coming over here and knocking together log cabins,'' said Patrice Hennin, a 35-year-old lawyer who, with his wife, Patsy, founded the Shelter Institute. ''Everyone, deepdown in his heart, knows he can build a house." We're always excited and honored to see our name in local or nationally respected publications. Follow your heart and come join us this summer. Become a part of the fun and continuing story. And best of all, become empowered to learn how to build your own home or learn a new and valuable skill. 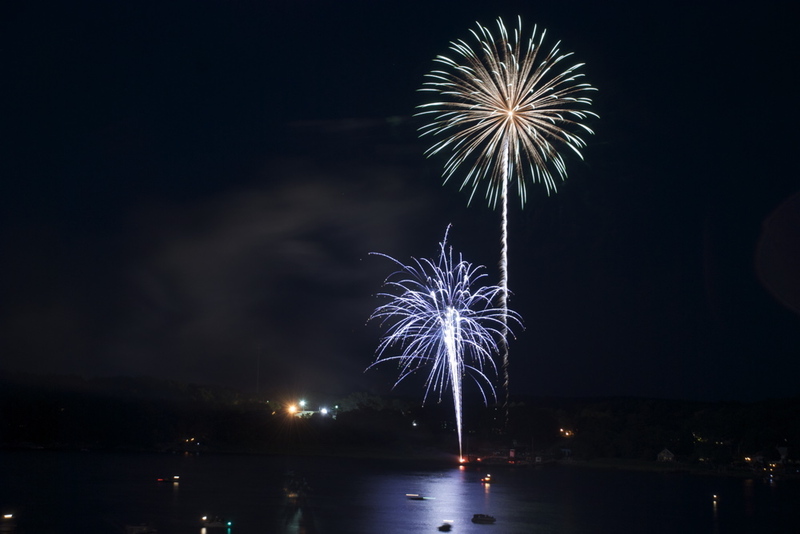 Visit Shelter June 28-30, 2013 at the WoodenBoat show in Mystic, CT. This show is produced by the esteemed WoodenBoat Magazine. More than 100 traditional and contemporary wooden boats crafted by professionals and amateurs will be there to view along with booths from a variety of marine and woodworking vendors. There will be demonstrations by experts where you can learn new skills or even build a boat with your family over the course of a weekend. Look for Shelter under our Douglas-fir timber frame. At our booth we'll demonstrate the Tormek sharpening system, have Japanese hand saws on hand to try and purchase, lots of timber framing tools, measuring tools from Starrett, axes from Gransfors Bruks, Land Ark wood finish, and more. Advanced tickets can be purchased online. Directions to the Mystic Seaport and more information can be found on the Seaport website. 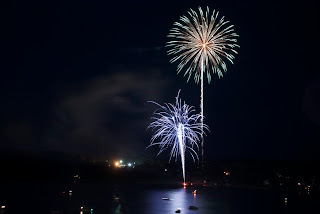 If you plan on visiting us at the show or want to see photos of us having fun in Mystic, visit us on Facebook. Join guest instructor, author, sawyer, and woodsman, Mike Beaudry for a one-day log-hewing workshop, Saturday June 22, 2013 from 9:00 to 4:00 pm at the Shelter Campus. the process of juggling to remove most of the waste. Registration Begins at 8:30. The class will run from 9:00 am - 4:00 pm. Tuition is $95.00. You can register online at the Shelter Tools website. The class will be taught generally with the double-bevel Gransfors Axe. We will provide some tools, but students should bring their own axe if they own one. Students will be introduced to a number of hewing axes, including the antique single-beveled Pennsylvania Patter Axe as well as froes. We will discuss tool selection, maintenance, and sharpening. All students must wear protective clothing – long heavy fabric paints and heavy steel-toed boots. Each student will have their own log to hew and will receive both group and one-to-one instruction. The class will be held rain or shine in our spacious workshop or outside as the weather permits. Students will receive a 10% discount on any tools and materials purchased during the class in our hand tool shop, Shelter Tools. If you've been waiting to purchase the Tormek T-7 Sharpening System, they're offering another good promotion. Purchase a T-7 in the month of June, and you'll receive a free knife jig and knife holder for the sharpening system (a $70 value). The Tormek sharpening systems make great Father's Day gifts. And if you act now, you can ask your dad to sharpen your kitchen knives once he has his T-7 set up. More information can be found on the special offer flyer (PDF). 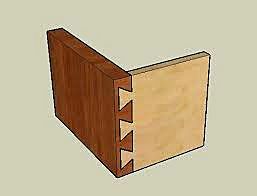 The skill of hand cutting dovetail joints is one that is learned and perfected with practice. Join us for a morning to learn how to layout and accurately cut dovetail joints by hand. Our very own Ken Hatridge will bring in his favorite tools and walk you through, step-by-step, how best to cut your joints including a review of the best tools as well as the best techniques. You will walk away with the techniques in mind so that you can easily perfect your skill set. Shelter is offering the Dovetail Joinery by Hand course on Saturday, June 8th, from 9:30 am to 1:30 pm. The course is $45.00. Electrical terms sound familiar, but how they work in your home might be a bit of a mystery: Amp, volt, 100, 220, three pole, four pole, wire gauge, and on and on. But the fact of the matter is that with a little bit of time and instruction, you can learn how to do most electrical projects in your home and manage them safely. This is an opportunity to become competent and confident about wiring. It's actually safer than driving once you understand a few little principles. 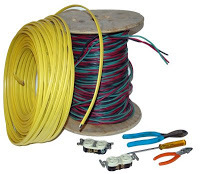 Shelter is offering a Home Wiring course on Saturday, June 1st, 2013 with instructor Pat Hennin, who has been teaching wiring for nearly 40 years. He shares the how of electricity, so you can understand the why. He will describe electricity and how to control it in simple, non-technical language. Spend the day at the Shelter Campus, and learn how to wire your entire home. Whether you want to build your own home, be your own general contractor, or have a home that you want to understand better, this class will give you a comprehensive understanding of home wiring. You can make changes to your home and effectively deal with any problems that occur. We will discuss residential wiring and how to wire a house that conforms to the National Electrical Code. This is followed by a discussion of how electricity actually ends up in the house. Finally, we break into small groups to practice wiring sample panels, switches, and lights. This is a small investment that can save you a lot of time, money, and worry. to help jump start a career. The annual Patricia K. Hennin Scholarship application process has begun. Shelter Institute is excited to offer the scholarship, which was established to honor company co-founder Patricia K. Hennin. The scholarship is awarded to a local high school junior or senior interested in the fields of engineering, architecture, or construction. Eligible applicants should be high school juniors and seniors currently enrolled in school and residents of the state of Maine. Preference is given to students with a demonstrated interest in the fields of engineering, architecture, or construction. Applications may be obtained from the student's high school guidance office or directly from Shelter Institute. The deadline for applications is 3:00pm on May 24th, 2013. Please call 207-442-7938 or e-mail store@shelterinstitute.com. The scholarship recipient receives free enrollment in the Shelter Institute course of their choice, valued at approximately $1,000. Our preferred skylight vendor is Velux, a manufacturer who makes quality skylights and roof windows with 10-year warranties. 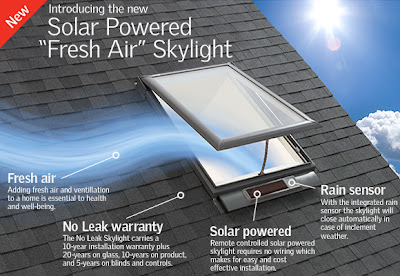 They have a new product, a solar-powered "fresh air" skylight. It includes a solar panel that powers the opening and closing of the skylight or solar shade by remote control. Despite the struggling economy, Maine home sales volume and median sales prices in 2012 were improved over 2011. Signs indicate that the trend for 2013 appears to be even better. Things may not yet reach the peak we saw in 2005-2006, but an upward trend is good news. Certainly, the buzz around real estate in our office is positive. Buyers are interested in moving, so it's a good time to get your home on the market and ready to sell. With interest rates at historically low levels, it's also a great time to buy. Buyer interest is heating up in Maine. Shelter Realty, formerly Midcoast Realty, continues to provide clients with thoughtful and clear guidance to both buyer and seller clients in this turbulent market. If you're listing or looking for anything from a custom timber frame home, to a 200-year-old farm house, to raw or ready-to-build land, Shelter Realty has seen and sold it all. Shelter's many years of real estate experience and our building expertise provide our clients with a unique perspective that helps guide you through the challenging but rewarding home buying or selling experience. Potential clients or students who want to list their precious home or land will find a dedicated advocate for their investment. Learn more at shelterinstitute.com/real_estate. Shelter has just received a a huge shipment of tools from one of our favorite tool companies, Robert Sorby, which produces an extensive selection of high quality woodturning, woodcarving, and woodworker's tools in Sheffield, England. Many timberframers who have spent time at Shelter are familiar with the 3" and 2-3/8" Sorby slicks we carry. Like all Sorby tools, it's finely crafted. The heft of this tool makes it unique, and it's preferred by those who like to put some weight behind their work. 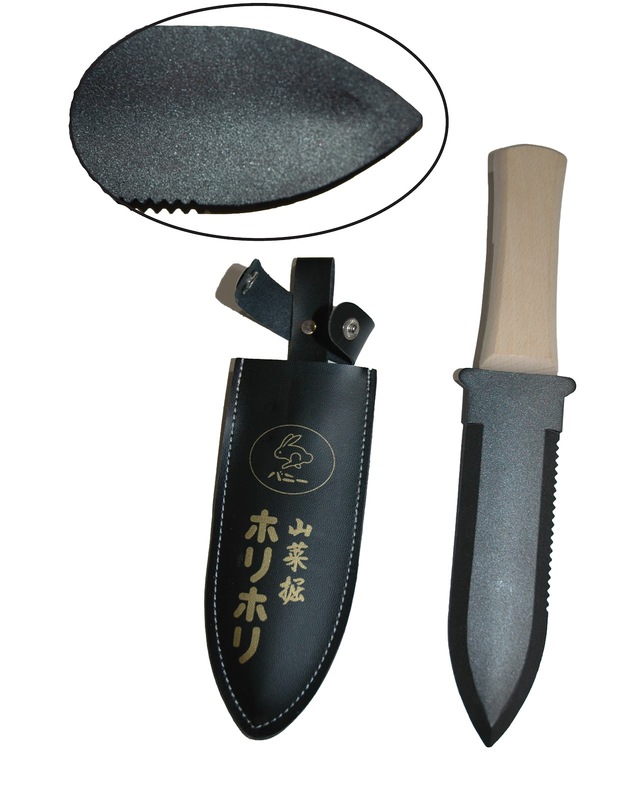 The well tempered steel provides a durable edge that is easily sharpened. 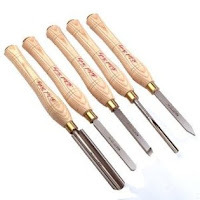 In addition to Robert Sorby chisels and slicks, we also carry their woodturning tools. Call, email, or visit Shelter if there is a Sorby tool you have questions about or would like to purchase. If you've interested in wood turning, but haven't gotten the nerve up to start collecting tools, then come to Shelter this weekend and spend the morning with turner and carver, Ken Hatridge of Tree Trunk Designs. Ken is offering his Introduction and Demonstration of Woodturning class on Saturday, April 27, from 9 am to 12 noon at the Shelter Campus. The class is $45. Registration is available online and seating is on a first-come, first-served basis. During the class, you'll be able to see Ken's expert woodturning techniques, learn about his favorite essential starter tools, and discuss qualities to look for in a lathe. Ken will also discuss wood species, layout, and design as well as tips and techniques for you to try in your own workshop. Ken is trained in the art of woodturning, strives to continually learn more, and experiments with new skills and techniques. 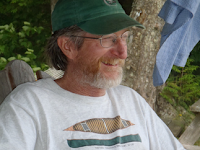 He has been trained in cabinetry and millwork, is an active member of the Southern Maine Woodturners, and is a member of the American Association of Woodturners. Frequently Ken does woodturning demonstrations at meetings and shows. It's the time of year when we start to receive requests and questions about our composting toilets at Shelter. Composting Toilets are an excellent option for the sanitary disposal of waste when plumbing, water, or electricity are not available or easily accessible. We see composting toilets used in cottages, boat houses, garden sheds, pool houses, barns, remote offices or guest spaces, and coastal cottages where a leach field isn't permitted. Another common locale for a composting toilet is in an older home where toilet waste needs to be removed from an overloaded septic system. Some households are converting from conventional flush toilets for environmental reasons. Toilet flushing is the single largest water use in the average U.S. home (according to the EPA), accounting for about 30% of total home water demand. More than 4.8 billion gallons of water per day is flushed out of homes in the U.S. That is a significant environmental burden on fresh water resources, municipal sewer systems, or home wells and septic systems. And if the state of our current infrastructure doesn't improve—see the grade here—composting toilets, or something like them, may be much more common in the future. Visit our store to see the Sun-Mar Composting toilet display models in person to get a feel for the size and shape of the toilets. Our knowledgeable staff has first-hand experience with the Sunmar composting toilet line and can assist you with sizing, installation, and maintenance questions. 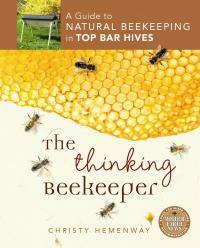 Christy Hemenway, founder of Gold Star Honeybees, has published a thoughtful and innovative guide to beekeeping titled, The Thinking Beekeeper: A Guide to Natural Beekeeping in Top Bar Hives. The book has been chosen as a Mother Earth News Wiser Living Choice and is being touted as the definitive do-it-yourself guide to natural and sustainable beekeeping. 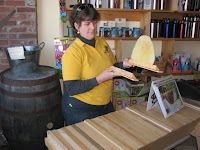 Christy has offered her Top Bar Beekeeping class at Shelter, and we have seen a significant increase in interest in beekeeping. With honey bee populations under threat (see this recent piece in the New York Times), many are choosing to help sustain this small and vital part of our ecosystem by providing a pesticide-free home for bees in their backyard. If you're getting started beekeeping or are an experienced beekeeper and looking for guidance, we highly recommend this book, which is available at Shelter or online at Shelter Tools. Visit Shelter March 20-23 at the JLC Live residential construction show at the Rhode Island Convention Center in Providence, RI. JLC LIVE is a leading construction industry event for the residential building industry. There will be opportunities for hands-on education along with manufacturer exhibits and demos in 16 areas around the exhibit hall. Attendees will find building clinics, design software workshops, and exhibitor demonstrations on the show floor. The LIVE events are taught by some of the top experts in their fields including: Gary Katz, Mike Guertin, Mike Sloggatt, Jed Dixon, Frank Caputo and Myron Ferguson. There will be sessions on construction techniques, sales and marketing, technology, and production. Conference instructors are industry leaders who run very successful businesses, write for trade magazines, and provide valuable and practical information that can be implemented immediately. Watch this video with interviews of show speakers and attendees. If you're planning on attending, please let us know. We have a handful of free tickets to offer to Shelter friends and customers. Contact us at info@shelterinstitute.com, and we will mail you tickets (while they last). Read more about about registration information and conference details. Join us on Saturday, March 2nd, for a full day of carving. 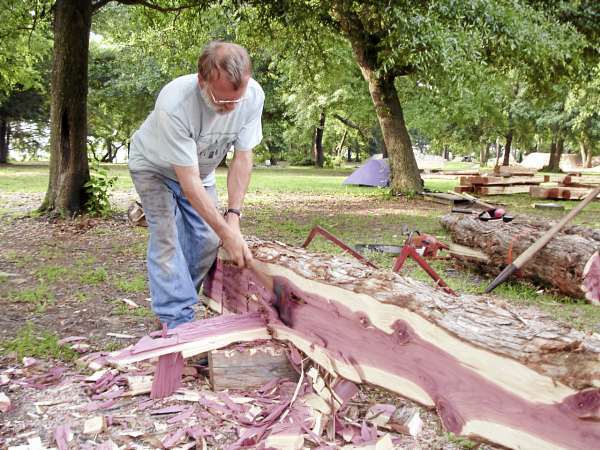 Instructor, Ken Wise, has been teaching woodworking and carving for over thirty years. He brings blanks, tools and technique to help you build your skills in carving. This is a hands-on class using, primarily, hand tools. Demonstrations include design and layout, discussion of wood species and selection, tool selection and maintenance, techniques and finish techniques. All materials and tools are provided for the workshop, but you can also bring any tools you would like to try. Hardwood blanks are provided for each student but please feel free to bring a special piece of wood if you have one on hand. Each student in our last workshop completed one spoon and began a second one within the time frame of the class. Ken's ease with carving and shaping as well as his general patience is infectious. He sets a comfortable pace for woodworkers of all levels, and he's able to draw each student through the process. It is a great way to spend a cold winter day. Register for the class online, or contact us for more information. Tickets can be purchased online for $10 or at the door for $12. Children under 16 are admitted free with a paid adult. Active duty Military/Fire/Police with valid ID are admitted free. We'll be there with our small Douglas-fir timber frame, and we will be demonstrating the Tormek sharpening system, Japanese hand saws, timber framing tools, and displaying tools from Starrett, Gransfors Bruks, Land Ark wood finish, and more. Shelter has again invited guest speaker, Christy Hemenway from Gold Star Honeybees, to offer a two-day "Intensive" beekeeping workshop on Top Bar Beekeeping February 16-17 at the Shelter campus. The class is designed specifically for those who want to get started keeping bees in top bar hives in the 2013 beekeeping season. This in-depth class—with emphasis on the why of things—combines important how-to information, history, hive management techniques, and natural disease and pest control methods. You can get started with confidence! Shelter Institute power, phones and Internet have all been restored. See you in the store soon! Shelter is temporarily closed today because if a widespread power outage due to high winds. We will re-open as soon as possible and will post updates here and on Facebook. If you need something immediately, please call our main line 206-442-7938 or email info@shelterinatitute.com and we will arrange to assist you. Thank you very much for your patience and understanding. A New York Times reporter referred to bees as the "angels of agriculture." It's amazing to learn and see how essential bees are to the production of our food. A recent documentary vividly depicts the threats facing bees. We can help sustain these essential insects by maintaining hives in our own backyards and get the wonderful reward of harvesting honey. 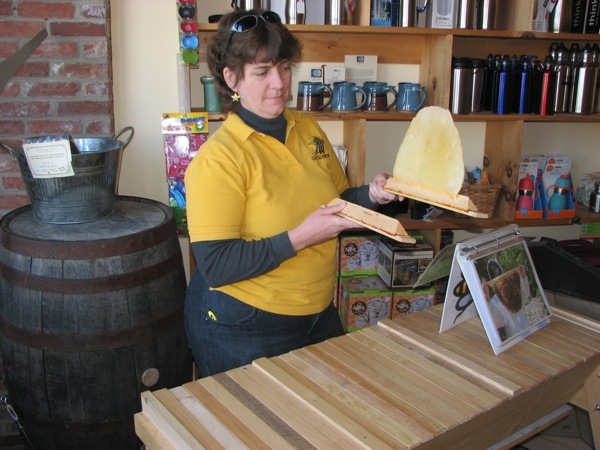 Shelter has again invited guest speaker, Christy Hemenway from Gold Star Honeybees, to offer a two-day "Intensive" beekeeping workshop on Top Bar Beekeeping February 9-10 at the Shelter campus. The class is designed specifically for those who want to get started keeping bees in top bar hives in the 2013 beekeeping season. Join us on Saturday, February 2nd, for a full day of carving. Instructor, Ken Wise, has been teaching woodworking and carving for over thirty years. He brings blanks, tools and technique to help you build your skills in carving. This is a hands-on class using, primarily, hand tools. Demonstrations include design and layout, discussion of wood species and selection, tool selection and maintenance, techniques and finish techniques. The Hori Hori Knives are Back! Those of you who have used the Hori Hori Knife can understand my excitement. And those of you who have not . . .well NOW is your chance. This is by far the best gardening tool, and I say that from personal gardening experience (despite my black thumb). Numerous master gardeners have verified and confirmed it, as well as the Wall Street Journal (March 26, 2012: Can You Dig It). A Hori Hori knife is for dirt and roots. It allows you to really dig into the dirt and loosen it to remove thick heavy roots. We ran out of them just before the end of 2012, and now they are back in stock. I know many of you have been waiting for them, so I just wanted to let you know that they are here and ready for you to come and pick up or for us to ship to you. Of course, January and February are not the typical months for purchasing gardening supplies, but while the snow flies we are all dreaming of summer and the veggies and flowers we will grow. Get your supplies ready because spring is just around the corner. You know that piece of trim that needs to be replaced, or the door that sticks in the kitchen, or the light fixture you want to replace. . .you can do it yourself and many other much bigger projects with the right tools! My Mom always said – a woman may not have the strength to bash a beam into place, but she’ll find a way to get it there one way or another. Having the right tools and creative mentality are key to making that happen. 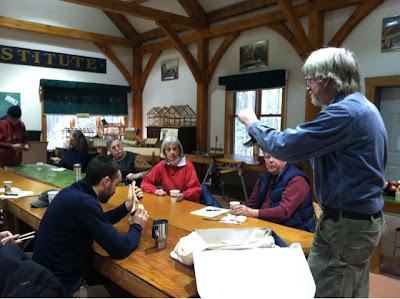 A few years ago I gave a tool talk to an audience of women at a library in Damariscotta – the enthusiasm and standing ovation made me want to offer it at Shelter. Awhile ago I read an article in one of my FAVORITE magazines about tool selection and it was such a disappointment. It didn’t feature any of the really cool tools available. So here is my version of that article in real life. I offered this workshop last year to Women-Only and there was an outcry from the less-experienced men out there interestd in learning some basic tools in a friendly environment so I've opened this workshop up to men and women alike! This workshop will be an easy space to learn about tools and get your feet on the ground, an opportunity to bring your questions and have a discussion! This is a four-hour workshop on tools—how to assess the problem and visualize practical solutions, what tools to look for, and how to evaluate them based on your use and your budget. We’ll discuss the basic tools you should have in your toolbox regardless of where you fall in the spectrum of house building, renovating, maintaining, and woodworking in general. A base level of knowledge about tools enables you to make confident decisions about where to spend a little extra money and when you can get a base model that will do exactly what you need. I’ll discuss hand tools and power tools and what to look for – which brands are ergonomically friendly and which brands are touting the best battery life! I can’t promise that you’ll never have to deal with a condescending salesman at the hardware store again, but I can promise that you will have confidence to speak clearly and accurately about a tool when you do have to deal with a sales person. It doesn’t matter whether you're hanging a picture on the wall or building the wall yourself. There are a few select items that will make these projects manageable. We'll have on hand a selection of Shelter's favorite tools for you to handle and try and I’ll show you my absolute favorite essentials that you won’t necessarily find at the big box stores. If you've interested in wood turning, but haven't gotten the nerve up to begin collecting tools, then this workshop is ideal for you. Spend the morning with Turner and Carver, Ken Hatridge of Tree Trunk Designs. You'll be able to see his techniques and learn about favorite tools and qualities to look for in a lathe. Bring questions for Ken to address. He will discuss essential starter turning tools, the more unusual turning tools, and how you might use them. Ken will discuss wood species, layout, and design as well as tips and techniques for you to try in your own workshop. Ken worked as a timberwright for seven years at a local timber framing company building beautiful timber frame homes, both far and near, up and down the coast of Maine. During this time he was able to master his hand tool-skills and also began to specialize in carving decorative details and lettering on the timberframes. Ken has trained in the art of woodturning and strives to continually learn more and experiment with new skills and techniques. 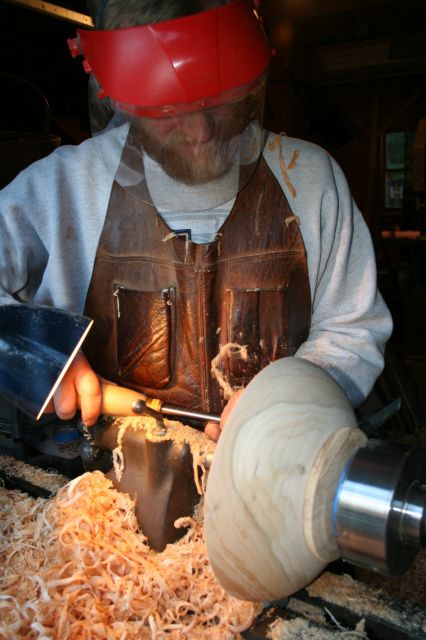 He has been trained in cabinetry and millwork, is an active member of the Southern Maine Woodturners, and is a member of the American Association of Woodturners. Frequently Ken does woodturning demonstrations at meetings and shows. Seating is on a first-come first-served basis for this workshop, and the workshop is capped at 15 students. Register in advance to ensure your seat! 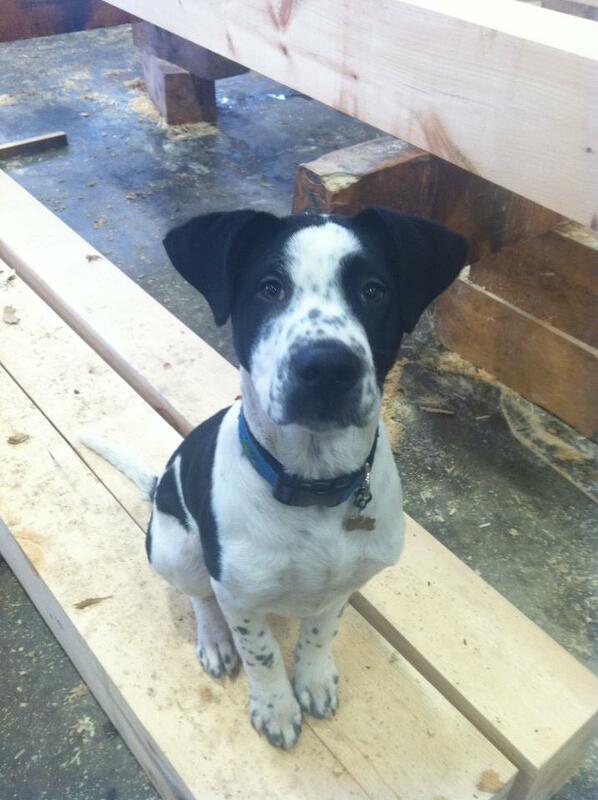 The 2013 Shelter classes have begun! We've kicked off the year with our winter Purely Post & Beam Course. (Follow us on Facebook and see the class in action.) If you've considered taking a class at Shelter, make this the year to join us at our Woolwich, Maine campus. We've added classes this year to our Design Build, Post and Beam, and weekend workshop series offerings. We've changed our schedule a bit over the past month (to make room for returning to the Common Ground Fair), so if you received a class schedule in the mail, be sure to check for schedule changes in our fall offerings.